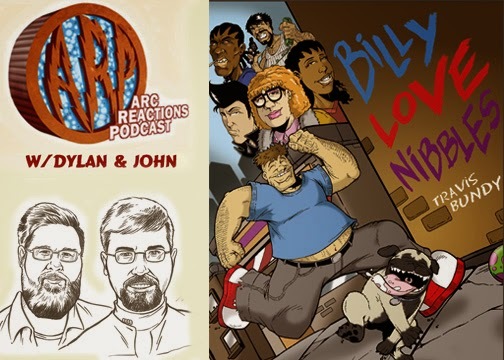 Travis Bundy, the creator of Billy Loves Nibbles, joins us for an interview about his latest graphic novel. In the novel Billy, a mentally handicapped man, falls in love with a pug named Nibbles and inadvertently takes on the mob when his dog gets hit by a car. Join us as we dive into this great independent comic that you can get by visiting the Indiegogo campagin. Please check out our Age of Ultron movie review which is also releasing today. Our next episodes will be Bat Books For Beginners – Episode 130: Batman Evolution on May 19th. And come back May 26th for our Denver Comiccon review.